Featured In The Globe & Mail! 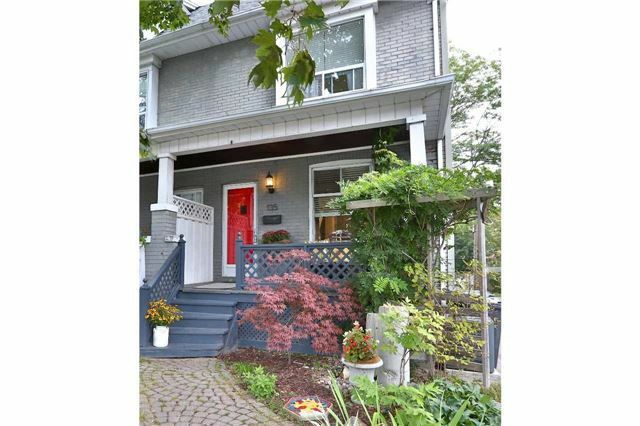 Newly Renovated, Professionally Designed Prime Leslieville Semi W/ Open Concept Main Flr, Exposed Brick, Reclaimed Wood Wall, French Drs, Professionally Landscaped Private Garden Oasis. Garland Chef Stove & S/S Breakfast Bar. Master W/Vaulted Ceilings, Gas Fp & Custom Closets. Huge Spa Bath, Custom Concrete Sink, Freestanding Tub & Heated Flrs. Finished Bsmt Or 3rd Bdrm. Steps To Greenwoood Park, The Best Cafes & Shops.